Included with zoo admission, and FREE for zoo members. Enhance your zoo experience with our Zooventure Unlimited Ticket, which includes your standard admission, unlimited train rides, and unlimited carousel rides for one day. Includes one visit to the San Antonio Zoo. Not for resale. Non-refundable. Non-transferable. Adult (12+) Child (3-11). 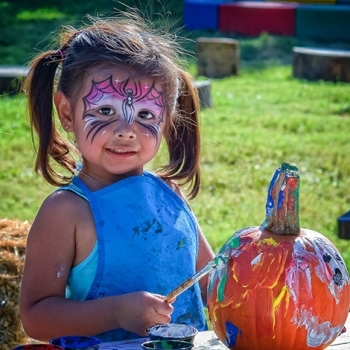 Held at 11 a.m. and 2 p.m.
Little ghouls and goblins, ages 12 years and under, are encouraged to don their best costumes while enjoying games, costume contests, a hay maze, trick-or-treating and much more. Adults may wear family friendly costumes but are discouraged from wearing masks. The zoo will be open from 9 a.m. until 6 p.m.
Haute Tip: Kick Off Halloween with Zoo Boo! Five Reasons to Take your Kids to Zoo Boo! Zoo Boo! 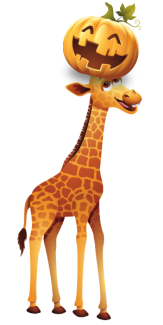 is a non-scary, daytime Halloween event at San Antonio Zoo®.